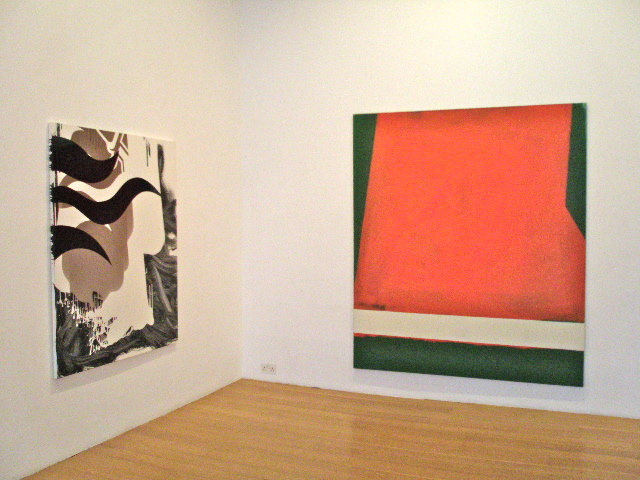 The show, held at Laurent Delaye in June 2009, initiated a cross-referential dialogue starting with Robyn Denny’s landmark, 1959 abstract painting ‘Place 3’, which optimizes urban and visual popular culture. The next generation, Rolph, Roberts and Stubbs, rethink abstraction in relation to the non-physical space of digital media by merging abstract and representational elements. 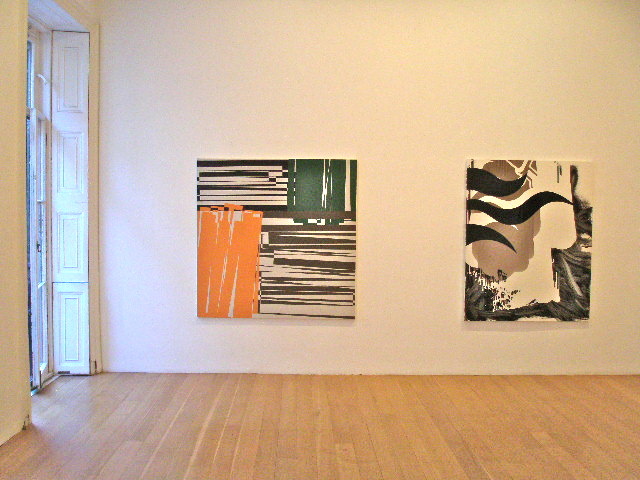 Finally, Syed critically returns to ‘rigorous’ abstraction by quoting layering and depth in impasto. The hand-constructed paintings in Supersurface all utilise a variety of process-based methods of layering which are both optical and physical. These procedures demonstrate an overlap with the visual, mechanically reproducible world outside of the studio. 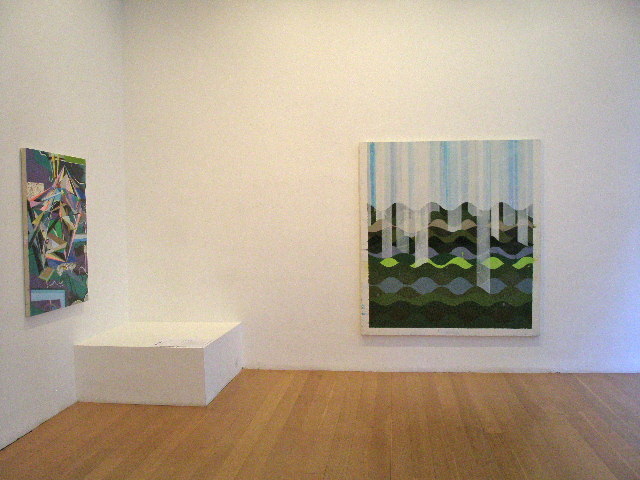 By mimicking the layering of colour printing (Denny) and screen programmes such as ‘Windows’ (Roberts, Rolph, Stubbs, Syed), a complex dialogue of difference is explored between the depthless space of the printed image, the non-space of the computer screen, and the physical space of the painted object. Some of the works quote and incorporate the printed/digital into the very fabric or surfaces of their paintings (Roberts, Stubbs). Others re-contextualise the making of object/paintings by re-configuring art history and popular culture (Denny, Rolph, Syed). However, the works by all five of these artists seamlessly and repeatedly cross-over these distinctions – operating through any one or all of them simultaneously. 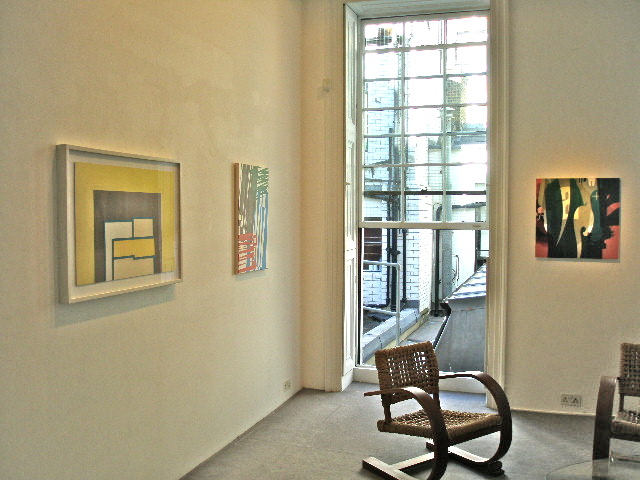 This entry was posted on 29 May 2009 by Laurent Delaye in Danny Ralph, Exhibitions, Michael Stubbs, Perry Roberts, Shaan Syed and tagged Abstract Art, Contemporary art, Exhibitions in London, Laurent Delaye Gallery, London art galleries, Michael Stubbs, Painting.